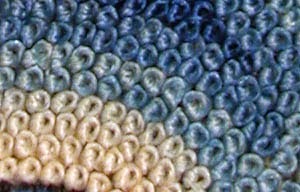 From AboutArtandCrafts website. 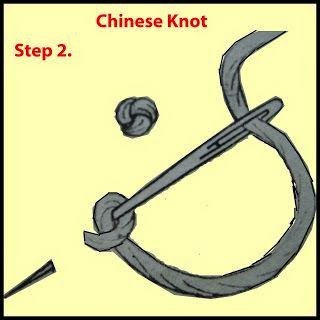 Chinese knots are not usually used alone, but used in groups, as shown below from MarlaMallett. 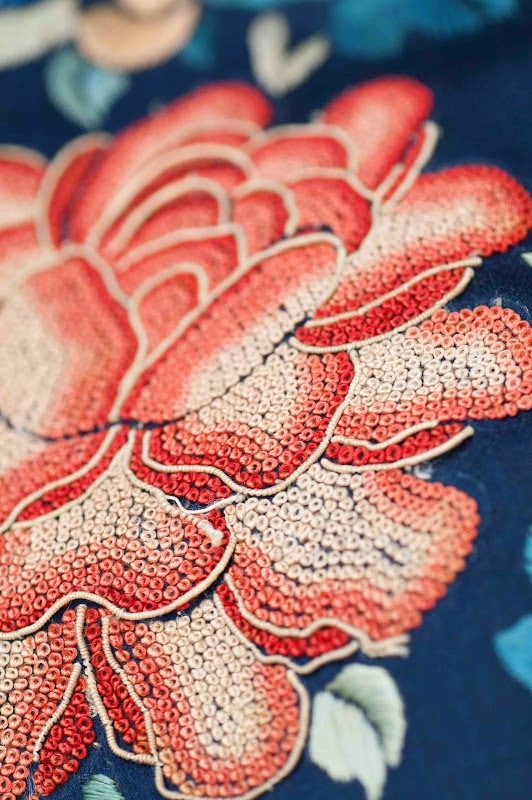 And finally here's a close up photo of an embroidered coat from the Plays With Needles blog showing this same stitch, also called the Pekinese stitch. Carolyn Wenzel's Ferris Wheel Quilt!